This is the first of a series of books. How I found it: Amazon suggested the second book, The Private Lie, for $3. I downloaded a sample and got hooked. But then, I realized it was a second book so I downloaded the first, this one, for free and bought No. 2 as well. It’s the story of a private detective in England somewhere. The story is good, not great, and the main character isn’t that nice. You get to like him by his witty and snarky comments. He of course gets his man and we don’t know if his new love interest will show up or not in the next book, that’s ignored at the end. I’m not sure I’d recommend it. Sometimes first books are a bit harder to read because they’re preparing the set for the next ones. They can be dry and efficient, not pleasant or flowing. I’ll read No. 2 and tell you. 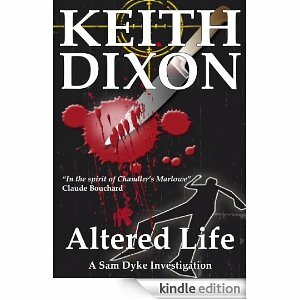 This entry was posted in Uncategorized and tagged Keith Dixon, murder mystery, private detective, Reading, Sam Dyke, writing by Phoebe Sean. Bookmark the permalink.